What Are the Different Stages in the Product Life Cycle? The product life cycle can be divided into several stages characterized by the revenue generated by the product or range of products, such as a brand. The life cycle can be very short, as pertains to a product that is for an event, such as a Christmas toy, or very long such as a watch or a car. For most products, the beginning of the life cycle is the product development stage. Companies develop new products all the time and a small percentage of those reach the market. The introduction of a product into the market will not generate sales until the public is aware of the product. The consumer is introduced to the product by the advertising that a company uses to publicize the product. There are thousands of ways a company can advertise their product and advertising costs usually are high during this stage in order to quickly make consumers aware of the product. 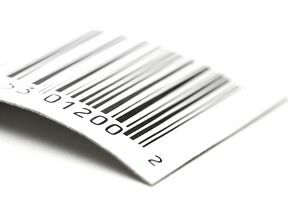 There may be additional costs associated with product introduction such as packaging and distribution. The introduction stage of a product generates few sales and the costs of introduction far outweigh the profits from the small sales volume. During this introduction stage, a company is focused on making the consumer aware of the product in the market and seeding a demand for future demand for the product. The growth stage in the product life cycle is a period of rapid revenue growth. As product awareness increases, customers are more likely to purchase the item and sales increase. The success of a product in one area can lead to the product being introduced into other market segments. A continued increase in sales can lead to additional demand and further sales. During the growth stage, competing products may be introduced by other companies. This can lead to price competition and additional costs in advertising to maintain the demand for the product at the expense of the competition. A product becomes most profitable during the maturity stage. The sales for the product are slower than in the growth stage but continues as the product becomes a market leader. Continued advertising reinforces the product with the consumer, but generally, advertising costs are lower than for a new product. For example, companies such as Coca-Cola and Clorox advertise their mature products to reinforce the brand with the public. However, competition from other companies or store brands may result in a decreased market share and lower profits. A company may spend more with retailers to obtain more shelf space for their products over competing products, which may differ only very slightly. During the maturity stage, a company’s focus is to maintain market share and extend the product life cycle as much as possible. Many companies have been very successful in extending the life cycle of their product when new cheaper alternatives are introduced into the market such as Clorox, Coca-Cola, General Mills, Kraft, and Pepsi. In the decline stage the sales of a product decline, either due to a product becoming obsolete, for example, a slide rule, or where the market becomes saturated. A company does have a number of options when a product has reached the end of its life cycle. It can remove the product from the market completely, reduce advertising and marketing to maximize profits from the small sales volume or reduce costs in manufacturing the product allowing the product more time for competing products to be withdrawn from the market. The ultimate goal of properly identifying the stages of your product life cycle is so that you can manage the supply chain at each stage. You want to make sure that you are supplying your customers what they want when they want it — and do that by spending as little money as possible. Understanding your product life cycles and smart life cycle management will go a long way toward accomplishing that goal.